For the first time this year, Sparksy looks at who is ripe for the picking for your Fantasy teams. Hey DT Talk readers, Sparksy here for his monthly Ripe for the Picking article, bringing you all the value picks for you to save money in your weekly trades. For those of you who aren’t aware or haven’t read my articles before, once every four weeks (due to not much changing weekly) I provide insight on which players I think are ready to be plucked from obscurity (or Moron Mountain) and placed into your AFL Fantasy teams. For those who are DreamTeam players, rather than AFL Fantasy, I’m not playing Real DreamTeam this year as I don’t have time, so my research doesn’t include that format of the game, sorry! This particular article is also semi-special in my eyes, as next Saturday marks two years since I’ve been writing for DT Talk! So I hope I can share with you all some solid trade advice and reasoning on my (almost) writing anniversary! Paul Seedsman ($575,000 Avg. 101 BE 43) – Seedsman has been on an absolute tear this season and, as such, is one of the most valuable prospects at this point of the year. Seedsman has already doubled the amount of games he played last year and he’s looking the goods, racking up his highest average by an absolute mile and being one of the key players in the Adelaide line-up with a similar role to Rory Laird, a Fantasy superstar in his own right. The changes in Seedsman’s game since 2016 (his last season with a significant number of games) have been astonishing. He’s averaging 26.8 disposals, 5.2 marks, 3.8 tackles and just under 3 score involvements per game, a huge increase in his stats, including +9 in disposals. This increase would mostly be due to the fact Seedsman is playing off the wing and working hard both ways to accumulate uncontested possessions, amassing around 18 uncontested possessions a game, as opposed to just 8 contested. This easy stat-padding could be alarming as players who rack up uncontested ball are usually extremely susceptible to a tag. Last weekend put that worry to rest for me however, as Seedsman was the highest scoring Fantasy player for the Crows and Adelaide still got pumped. Not only that but, from the votes I saw, Seedsman wasn’t even considered one of the best Adelaide players. The fact that Seedsman is working so hard to get the footy and teams don’t see him as a threat makes him an enticing Fantasy prospect. Not to mention he has a BE of just 43, Dual-Position status, and Adelaide have a lot of injuries which means he shouldn’t have a negative change of role anytime soon. If you can find a way to bring him in, I think Seedsman is an easy and safe choice to insert into your backline (or even midfield) and could potentially be a Top 6 Defender come year’s end if he keeps this up! James Aish ($489,000 Avg. 80.3 BE 50) – James Aish is an interesting prospect. People have expected him to step up and reach his potential for years and Aish has just non-stop disappointed fans and Fantasy Coaches alike. This season he started the same way, giving anybody brave (or stupid) enough to pick him a measly score of 54, running off a half-forward flank against a Fantasy-depriving Hawthorn side. It was in Round 2 that Aish really impressed, pumping out a 102 against the Giants, before backing it up in Rounds 3 and 4 with an 84 and 81 respectively. The reason for this change? Aish is now playing on the wing, rather than that crappy half-forward slot. The change is definitely noticeable; in Round 1 Aish had 17 disposals, a mark, a goal, and ZERO tackles. From Rounds 2-4, Aish has averaged 19.3 disposals, 5 marks, a goal, and 4 tackles, an improvement in almost every category. The thing that convinces me most about Aish is not just his personal improvement, but also Collingwood’s improvement as a team. As much as I hate to say it, Collingwood have looked solid the past few weeks, looking almost as if they have an actual game-plan, rather than letting opposition midfielders beat AFL disposal records and wondering why they lost. I think that, as long as Collingwood continue to play decent football, Aish is a safe and solid pick to give you at least 80 every week, which is at a minimum an 11-point increase on his price at the moment. I don’t think Aish is a Top 6 Defender, but he’s one of those guys that, come the end of the season, you could sit at D6 and be at least semi-happy about it. Plus, a BE of 50 makes him definite short-term value as a stepping stone to reach actual premiums later in the year, and he’s almost $100k cheaper than Seedsman, so if cash is tight, Aish is your man. Buyer beware though: if Aish changes roles back to half-back or half-forward, owners could experience a real case of FMDT. Nick Haynes ($535,000 Avg. 86 BE 46) – I laughed very hard at myself for even suggesting this guy, but after doing some research I found out he actually hasn’t been as horrible as I previously thought. Haynes averaged mid-70’s for the previous two seasons, making him an acceptable draft choice in deeper draft leagues. However, in the past two weeks, Haynes has made himself a genuine Classic option. He is very high risk, so if you like to play this game safely just move onto the Midfielders. Nick is another benefiter of a role change, but not into the midfield like the other two options. He started this year the same way he’s gone about every season previously, as a key-defender scoring poorly. Haynes had 71 in Round 1 before dishing up a 54 in Round 2, about what any Fantasy coach would have reasonably expected from him. Round 3 then saw Haynes blow the 837 Coaches that own him away with 97 Fantasy points, before killing them with joy in Round 4 after a score of 122! I thought the reason for Haynes’ increase in scoring might be due to swapping roles with Adam Tomlinson, who traditionally can score fairly high but has dropped off since Round 2. This isn’t the case however, as Tomlinson still has the same role he’s always had. The increase in Nick’s output is down to the fact he is now playing as a loose Defender, and very well I might add! Haynes has increased his intercept possessions from 4 per game in Rounds 1-2, to 9.5 per game in Rounds 3-4, an increase of 5.5 per game for those of you who don’t like addition/subtraction. That’s right, for the past two weeks Haynes has been chopping off around 10 opposition disposals a game! I was worried that Sydney and Fremantle, his Round 3 and 4 opponents, may be quite bad at disposing of the football, but they rank 13th and 4th in the AFL respectively for disposal efficiency. As you would expect, Haynes has also greatly increased his disposal numbers in the last two Rounds. He averaged just 16 disposals over Round 1 & 2, but in the last two weeks he’s managed to increase that number to 28.5, almost doubling it! He has a BE of 46, so he’s guaranteed to make you at least some money. Plus, I briefly mentioned my favourite thing about him, and that’s the fact that only 837 Coaches currently own him, that’s 0.64% of all teams. Talk about a PoD! Jaeger O’Meara ($537,000 Avg. 94.8 BE 37) – JOM is back people, and I could not be happier! On the weekend Jaeger produced a BOG performance and rewarded all of his Coaches with his first ton of the year with a 126 against Melbourne. There’s not a whole lot to say about his numbers other than he’s doing exactly what is expected of him. He’s averaging mid-20’s in disposals, 5 tackles a game, 3 or 4 marks and has had at least 5 clearances in every game. His consistency and work rate are very impressive and, as an owner, it’s great to watch him because he goes about his work rather quietly due to sharing midfield duties with Titch. You almost wouldn’t realise how prominent he actually is unless you’re looking out for him specifically. I understand he’s not exactly the biggest secret in the league, being owned by 31% of teams already, but Jaeger gets the #1 spot purely on his value. In terms of $/Points he is dominant, ranked 43rd in the league. Whilst that might not sound like a great ranking, 40 of the players in front of him are players who began the season at rookie price and therefore get a large advantage, starting with a low breakeven. The other two players will get more of a mention later in the article, but are popular mid-priced option Allen Christensen, and Luke Dunstan who has come from nowhere in the last two Rounds to average well over 100. His BE is also insane considering his price. At 37, his BE is only 3 more than popular Forward rook Bayley Fritsch, and only 10 more than a basement priced ($170,000) rookie! I know I preach this a lot, but Jaeger is just total value and you must have him in your team if you’re contemplating any mid-priced options. Zach Merrett ($622,000 Avg. 70.5 BE 107) – Not-so-affectionately dubbed the “Mayor of Moron Mountain” by a certain trader before Round 4, Zerrett managed to find form again in perfect time for me to feature him in this article! I too started the season with Zach and was so furious with his concussion in Round 1 that I traded him straight out, and it was the best decision I ever made. As I’m sure a majority of you know, Merrett struggled to 23 before having his talent stolen by “MonStar” Richard Douglas in the second quarter of the Bombers’ season opener. He then came back the next week and put up a 78, before a score of 60 in Round 3; an absolute shadow of the Zerrett that was being considered for Pig-Hood in some circles last year. Last Sunday afternoon however, somebody must have slipped Zach some of “Michael’s Secret Stuff” because he’d clearly found his talent again. Merrett had 29 disposals, 5 marks and 8 tackles on his way to a season high 121 and, most importantly, moving his BE back down to an achievable 107. Now, I’m aware the big question about Zerrett is whether we jump on him now or wait for another good score, and my answer is we jump on now and here’s why. Merrett plays Collingwood this week who are notorious for giving up points in the midfield and not tagging, for example – Round 1: Titch (156), Round 2: Whitfield (123), Coniglio (120), Kelly (118), Round 3: Murphy (139), Kreuzer (120), Ed Curnow (103), and Round 4: Seedsman (119), Gibbs (113), Atkins (103). With this in mind, Merrett will easily go 120+ this week, mark my words. The problem I have is, the week after he plays Melbourne who definitely tag, and the week after that is Hawthorn who tend to be a difficult team to score against. So, I would either jump on this week at the lowest price Merrett should get to this season or wait three weeks and pick him up after the Hawthorn game at a, potentially only slightly, higher price. In any case, I wouldn’t wait until his big score this week and then get him in for a lower score against Melbourne. Cam Ellis-Yolmen ($493,000 Avg. 85 BE 48) – I’m not proud to admit it, but I got very lazy when it came to researching Ellis-Yolmen this pre-season. I mentioned in my pre-season article that he could be a fantastic value pick despite being rookie-listed, and then I just forgot about him. Boy I wish I wasn’t ignorant and properly checked the teams in Round 1, because CEY has been a very solid stepping stone and should only get better. His numbers aren’t outstanding, and he relies on tackling to take his scores from 60’s to 100’s, but Ellis-Yolmen should see a great increase in his numbers consistently due to what should be increased midfield time and increased Time On Ground. With both Crouch brothers out, Sloane potentially missing at any moment with his foot injury, and Betts going down amongst others, Ellis-Yolmen should see more time in the midfield as he did last game. Also, Time on Ground (TOG) has been a huge problem for CEY owners. In both of his games where he scored in the 60’s, Ellis-Yolmen was given just 67% TOG for reasons unbeknownst to me. In his 121 and 92 point games however, Ellis-Yolmen was given 79% and 76% TOG respectively, and I think this trend should continue with all the injuries at the Crows. I can definitely see Cam maintaining, if not increasing on, his 85 point average, which gives him a minimum 16-point increase on his current price. He’s perfect for people who don’t have a heap of cash, or even want to downgrade an under-performing Midfielder for a cash grab, and for anybody who wants a nice stepping stone to reach a premium midfielder in the near future. Adelaide also have the Round 14 bye, so Ellis-Yolmen should be able to hold his spot in your team until then where he can provide an easy trade target. I want to give a quick “Honourable Mention” to Luke Dunstan ($650,000 Avg. 115.5 BE 68), Jacob Hopper ($480,000 Avg. 81.5 BE 57), and Tom Phillips ($632,000 Avg. 97.8 BE 80) who are all fine options in their own right but didn’t quite make the cut as they didn’t tick enough boxes for me. Dunstan especially interests me as he has been insane from his two games and finished last season with six straight 100+ scores, but I don’t have the bravery to go through with a trade like that and think Merrett is much better value. There aren’t any value options worth having, it’s as simple as that. I will say that both Nic Naitanui ($493,000 Avg. 81.5 BE 58) and Callum Sinclair ($610,000 Avg. 100.3 BE 64) are absolutely fine options. However, Naitanui’s whole 50% TOG thing just doesn’t sit well with me. If he ever gets more time then expect him to go off, and he is one of four ruckmen I don’t mind having a combination of, but I’m concerned his current game time will lead to some lower scores. He does have a fantastic fixture coming up in the near future however, so owners rejoice! I owe Callum Sinclair a slight apology, in my pre-season article I didn’t mention him in my Top 3 value ruck options because I didn’t believe he would be picked as the #1 ruck option at Sydney. I believed, at a minimum, that Naismith and Sinclair would ruck together, if not Naismith would be a solo ruck. So I’m sorry I doubted you Callum, even if your opportunity did come through an injury to your team’s #1 ruck option. The main problem I have with Sinclair is that he’s too expensive now. 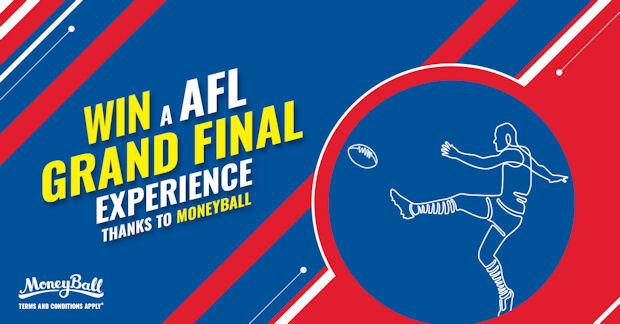 For just $84k more you get Gawn, who will average 110+ and be an easy “set-and-forget” player. I see Sinclair’s average dropping slightly to between the 90-95 mark, as he’s had a few easy teams to ruck against in Port Adelaide, GWS and Western Bulldogs. If you started with Sinclair, congratulations, that gamble paid off big time. Although, it might be time to jump off soon and trade to one of the big 4. So, in my opinion, if you don’t have a combination of Martin, Gawn, Grundy and Naitanui, your rucks are going to be a problem in the future. Before I list my Top 3, I want to give a mention to Brandan Parfitt ($515,000 Avg. 95.3 BE 25). As much as I think Parfitt is an extremely interesting option and one that could definitely make or break people’s seasons depending on his output, it’s very hard to get a read on what Parfitt can provide Fantasy Coaches due to his limited time at AFL level. In his rookie season last year Parfitt played 12 Home & Away games with a high score of 90 in Round 3 against the Demons. Other than that, only two of his remaining 11 games were scores above 60, which is fine for a rookie, but not fine for a $500k+ prospect. There are three discrepancies between Parfitt’s 100+ games and Parfitt’s 60-80-point games this season; disposals, scoring shots, and role. The difference in disposals between the two is +7.5 in favour of 100+ scores, and Parfitt has 5.2 from scoring shots in 100+ games in comparison to 1.0 in his other two games. The biggest difference however is his role. In both his 100+ games Parfitt played solely midfield, first on the wing, then most recently in the guts in his 138-point performance on the weekend. In the other two games Parfitt has played on a half-forward flank, with no midfield time in Round 2 and a shared role in Round 3 when Ablett went down injured. Looking at this information, I would personally stay away from Parfitt. It seems as though he relies greatly on hitting the scoreboard and on getting midfield time to get the points he needs, the second of which will be scarce at Geelong when Dangerfield, Selwood, Ablett and Duncan are all in the side, plus Menegola and Kelly also vying for midfield minutes. He’s a very low-risk option right now with such a low BE, however I believe you will have to burn a trade on him before the season ends and you may have to put up with some trashy scores. I could be wrong though, and props to you if you back him in and he delivers. Tim Taranto ($540,000 Avg. 93.8 BE 54) – Doing what is expected by a talented #2 pick, the classy Taranto has set the footy world alight in his second year in the system after an injury interrupted rookie season. A lot of new owners were upset when they brought him in at the start of Round 3 and he dished up a score of 52, but those that held were rewarded last week when he posted a career high 120 Fantasy points. Even with his poor game Taranto has averaged 22.3 disposals, 3 marks and a whopping 6.5 tackles a game, including 11 on the weekend. He’s definitely putting to bed any “second-year blues” theory. There are many things to like about Taranto outside of his numbers too; He usually tackles his way to a good score meaning he doesn’t need to touch the ball too much, you can downgrade an underperforming Premium to him for a nice cash grab without losing points *cough* Billings *cough*, and he has a wonderfully low BE that he was 10 points off achieving last week through tackles alone. Not only that, but Taranto’s work rate is almost second to none. Take last week as an example: Taranto had 11 tackles, 6 clearances, 31 pressure acts, 3 uncontested marks, 8 score involvements and 13 contested possessions. Whilst all of this doesn’t seem too incredible by itself, one player managing all of that in a single game is pretty amazing. I’m seriously considering leaving Venables on my bench this week so that I can downgrade Billings to Taranto for cash and a point increase, that’s how much value Taranto provides right now. With his current average of almost 94, he could also be in consideration for a Top 6 Forward spot come season’s end, so getting him this cheap could be the buy of the season. Robbie Gray ($636,000 Avg. 108.3 BE 70) – We all know Robbie’s been on fire thanks to a secured midfield role after starting this season a Round late. Gray has played solely in the guts this year, after heavy “stints” forward affected his scoring output last season. With his 108.3 average, Gray is a lock for Midfield DPP come Round 6 and I would also say a lock for Top 6 Forward status, bar an injury (touch wood, please don’t do that to us, Fantasy Gods). Gray has managed 29 disposals (10th in the league), 3.7 marks and 6 tackles a game, racking up possessions at both ends of the ground and troubling the scorers at least once in all three games this season, and all of this doesn’t even cost you a Midfield slot! I know Gray doesn’t need much selling to all of you, especially as he is already owned by over 10% of coaches. The main reason I have Gray in my #2 slot isn’t for cash gain, nor uniqueness, but more for the fact he is a keeper that is currently priced well below his worth. In three weeks’ time I see Gray being priced above $700k and not coming back down, and by season’s end he will be a must-have player, so it makes sense to save some money and get him while he’s cheap, right? My mind is fighting over which two of Merrett, Taranto and Gray to bring in this week, but I’m almost certain that all three will be in my team come next week. If you don’t already have Gray and you don’t plan on getting him soon, I hope you’re saving up cash to upgrade a rookie to him later in the season, you’re going to need it. Allen Christensen ($446,000 Avg. 78.8 BE 34) – As I mentioned before, Bundy is one of two non-rookie priced players that rank above Jaeger O’Meara in $/Points, a category that ranks a player’s value for money. This is a pretty solid feat considering Jaeger is arguably the mid-priced option of the year, whilst Christensen has gone a bit more under the radar. Whilst Bundy’s stats haven’t been amazing (20.3 disposals, 2.5 marks, 1.3 goals, 3 tackles), it’s the fact that he was, and still sort of is, so cheap that should be appealing. I wrote about Christensen in my pre-season article and described him as a “glorified rookie”, slightly outside the rookie price range, but still cheap enough to take up basically a rookie spot in your team. Whilst he’s no longer that cheap, Christensen still has a BE of only 34, which he should easily double, if not more. His season is also getting progressively better as he once again gets used to playing at an AFL level after coming back from injury. Christensen is clearly a very straightforward pick: there’s easy money to be made, so make it. He will be difficult to fit into your structure if you don’t already have him, but he’s definitely worth making room for if you can! That’s the end of my first article in season 2018! If you have any questions or comments, leave them below or hit me up at @SparksyDT on Twitter. I hope all your seasons are going well, or you’re at least winning your league! Happy trading! Matthew Kennedy thoughts? People were curious at 485k, after dropping 76k after an injury he has returned to (mostly) full fitness, scored ___ in the final 3 quarters last game. Priced at ~58/game I think he could push 80-85 and make nearly 200k. Personally, I think Ellis-Yolmen is more consistent and has a higher ceiling than Kennedy, but he’s certainly not a bad pick by any means! And in the Mid – chase JOM or Zerritt. Option 1 in both lines gives more cash, but option 2 potential for bigger score. Depends what works best for your team, but these players are in order in my opinion. So, by that logic, JOM and Gray. still have billings and the likes of lloyd. thoughts on hold and sort out injured/maxed rooks or chase gray/seeds etc? Thanks Sparksy! I was all set to go ABrayshaw to Cunico…. now you have me wondering about Billings to Gray or Taranto…. what a dilemma! Is Billings no good? Will Gray stay in the guts? 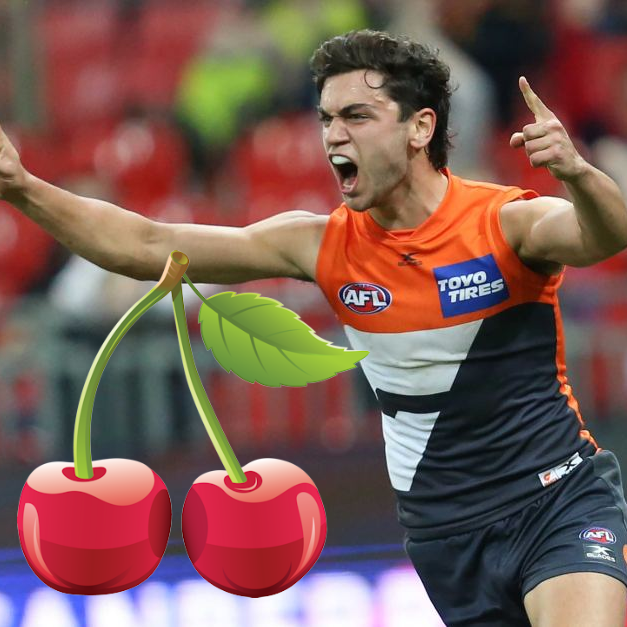 Will Taranto get all the opportunities he’s getting with a full squad at GWS?? Who to trade out Jake Lloyd or Sic Dawg and who to get in out of Savage, Taranto, Zerrett or Seedsman? Last 2 weeks I’ve been watching E-Yolmen and thinking of bringing him into my side but with the crouch brothers missing along with Sloane is it worth bringing him in as Gibbs is the only decent Mid the Crows have got to feed the ball to him, or is Aish a better option. Would it be Completely mad to go Sloane and Holman to CEY and Hopper..
JOM and Yeo, or Zerrett and Seedsman? Pleeeeease help! !